Rebel.com is proud to offer robust and scalable web hosting packages powered by Plesk. Rebel.com’s Plesk web hosting packages include VPS, Business Hosting, Managed WordPress, and reliable Shared Hosting. We also offer free web hosting migration and 1-on-1 assisted setup. Rebel.com has a TrustPilot Trustscore of 8.9/10 and an award-winning customer support team that is available 24/7/365. No bouncing around between queues or yelling numbers into the phone here – when you call, a real human from Canada answers. 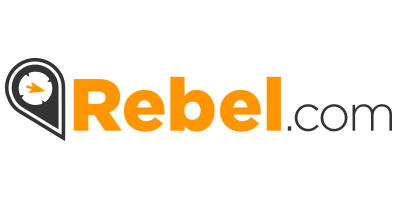 Rebel.com is one of Canada’s leading web hosting and domain name registrars. Headquartered in Ottawa, we create simple, useful tools to empower participation in the world’s bravest communication space: the Internet. We believe that by living and breathing technology, we can help change the world around us on a larger scale. Not just in the tech community, but in the way others harness the power of technology to make a difference.